Whether you’re a Philadelphia native or just visiting, there’s a good chance we have got parking permits for you. But with multiple permits come multiple questions. To make the process smoother, we created a Frequently Asked Questions guide. Check them out below and feel free to reach out with any questions. How do I get a parking permit for my car? If your street or neighborhood has permit parking, you can request a residential parking permit for your vehicle. To be eligible for a residential parking permit, your vehicle must be registered and insured to the address for which you’re requesting a permit. Additionally, you must provide proof of residency. If you meet these requirements, you can apply for a parking permit through the mail or by visiting our Residential Parking Permit office at 35 N. 8th St. NOTE: Effective on February 26, 2018 the Registration Suspend, Residential Parking Permit, and Contractor Parking department’s permit office located at 35. N 8th Street will no longer accept cash payments. However, credit cards, debit cards, and postal money orders will be accepted. Example: If your household has two vehicles, the total cost will be $85 per year. Note: Residential parking permits are only valid for the district number in which the permit is issued. 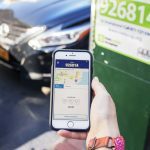 What are the hours of operation to the Residential Parking Permit office? Where do I place my Parking Permit sticker? Your parking permit should be placed in the vehicle’s inside rear window, on the passenger side. I have tinted windows. How will your officers see my permit? If you have tinted windows, let us know when you fill out your application. We will provide you with two orange reflector stickers. The first sticker should be placed on the outside rear window of the vehicle next to the parking permit sticker. The second sticker should be placed on your license plate. I’ve been having a hard time finding parking near my house. How do I get permit parking on my street? 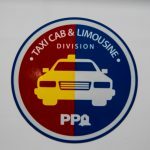 To get permit parking for your street, you first need to contact the Philadelphia Parking Authority and request a petition package. Once you obtain the petition package, you need to get signatures from at least 60% of the residents; including renters/owners of apartment complexes. Then, submit your completed petition to your local city councilperson and they will forward the petition to us with a letter of support. So, I can just get everyone from my house to sign the parking petition, right? You can only have ONE signature per household. Proof of residency is a driver’s license, utility bill or copy of a current lease. Can renters sign a petition? Yes, a resident can be a renter or owner of a property. I have visitors coming to town. Where can they park? If you have a residential parking permit, there are two options for visitor parking: temporary parking passes and day passes. Day passes are good for up to a year after purchase. To use the pass, scratch off the month and date on which the pass will be used, and write the visitor’s license plate number in the box provided on the pass. Then, hang the pass on the rear-view mirror. You can download the day pass application here: Day Pass Application. Temporary parking passes cost $15 for 15 days. To purchase a temporary pass, visit our office at 35 North 8th Street. I have a Residential Parking Permit, but I’m currently driving a rental vehicle. What should I do? Residential Parking Permits are valid to specific license plates. If you need to temporarily transfer your permit to a rental vehicle, you may contact our permit office at 215-683-9730 for assistance. You may also utilize the Day Passes and Temporary Parking Passes mentioned above. Additional information on Day Passes and Temporary Parking Passes can also be found here. I’m moving! What happens to my Parking Permit? 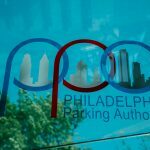 If you move to another parking zone in Philadelphia, you need to apply for a new parking permit. 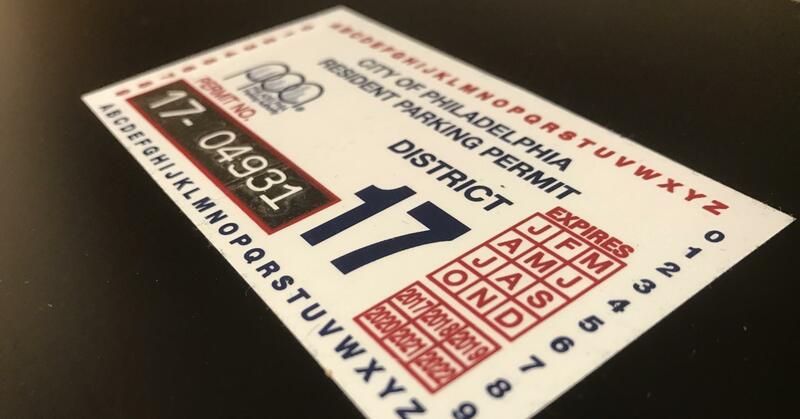 For example, if you move from Northern Liberties to Pennsport, your Northern Liberties parking permit will not be valid in Pennsport. Peel off your old RPP sticker, apply for a new one, and you’ll be parking easy in no time. If you are moving within the same parking zone, you can keep the same permit. However, we highly recommend updating your permit account information at our permit office located at 35 North 8th Street. 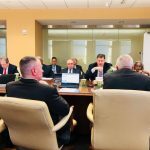 Additional questions can also be addressed by calling 215-683-9730. I can’t get my parking permit off my windshield. What can I do? All you need to do is spray some WD-40 and put your defroster on; the permit will peel right off. I received a ticket even though I have a parking permit for my street. What happened? Unfortunately, sometimes our parking enforcement officers can’t clearly see the parking permit. All you need to do is contact the Parking Violations Branch and let them know you have a valid RPP sticker, and they will put the ticket on a temporary suspension. Photocopy the parking permit receipt and mail it to the address provided below with your parking ticket. Our customer service representatives will work with you from there. If you would like to contest a ticket, head here. My permit is about to expire. Can I renew it online? Yes! More information on renewing your Residential Parking Permit can be found here. Keep in mind: this service is only available for renewing a current Residential Parking Permit or adding a new vehicle to the same account. If you have any further questions please feel free to get in touch with us on Facebook or Twitter.